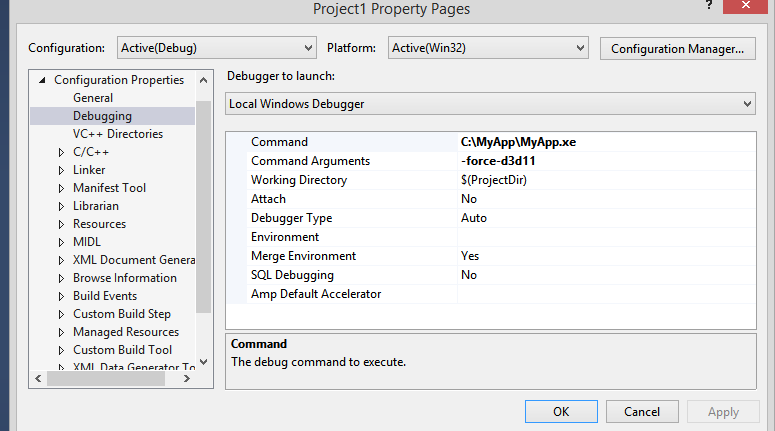 It’s recommended to use Visual Studio 2013, as it contains several fixes for Graphics Debugger. Note: Unity Editor contains multiple child windows inside, this may cause Graphics Debugger to capture frame from incorrect window, to ensure that correct window will be captured, check ‘Maximize on Play’ tab, and hit Play button before capturing, but even then there’s no guarantee that the correct window will be captured, that’s why it’s not recommended to use Unity Editor for frame capturing. Note: Frames can only be captured if Unity is running under DirectX 11, you can select DirectX 11 from Player Settings (PC, Mac & LinuxStandalone) -> Other Settings. If everything is configured correctly you should see “Use ‘Print Screen’ key to capture a frame” message in top left corner of the application. See screenshot below. 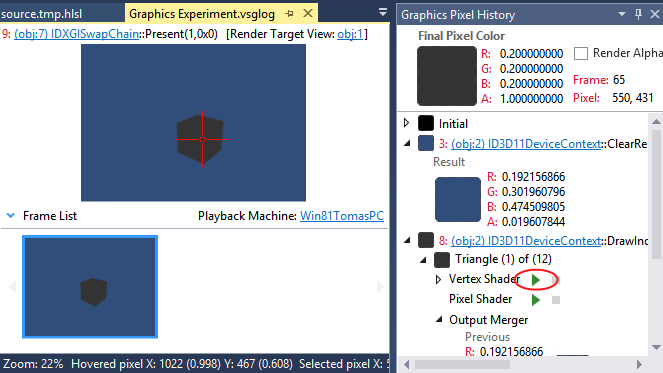 If everything done correctly, you should see the following captured frame, right click and select Pixel History and select the pixel of an object which has your custom shader assigned. Click the play button next to the Vertex Shader (circled in red in screenshot above), you should be able to debug vertex shader. 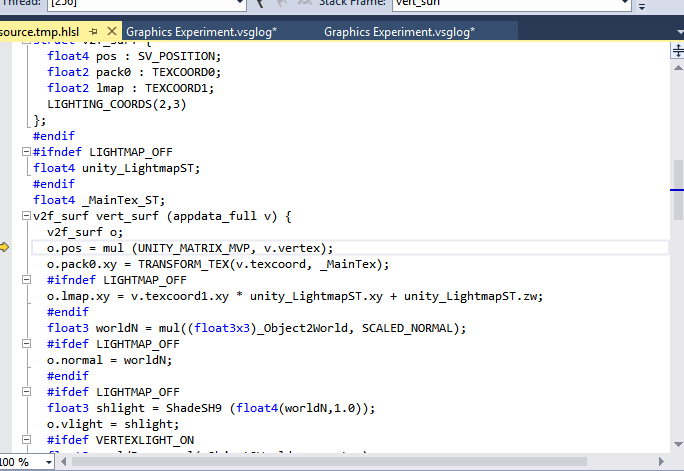 Steps for capturing the frame and shader debugging are the same like for Unity Editor or Windows Standalone. In the Unity Editor, you can also use RenderDoc to debug shaders, by capturing the scene from within the editor and debugging in the standalone tool.